Expand your MacBook or Windows laptop connectivity with the versatile Boomerang Station from j5create. Acting as a laptop stand and adding 9 extra ports to your laptop including HDMI, USB, VGA and much more - this docking station has everything you need. 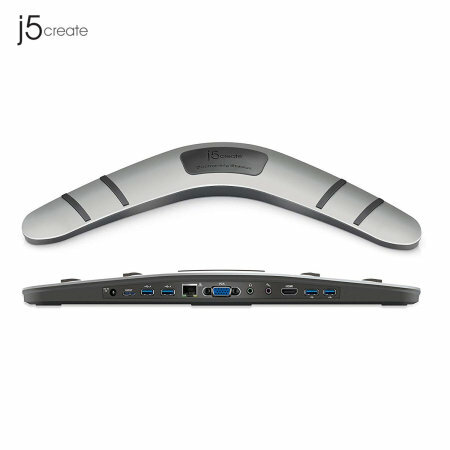 Turn your laptop into a full sized workstation with the j5create Boomerang Docking Station. 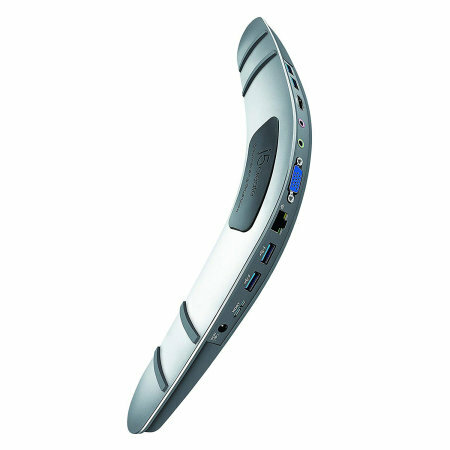 Compatible with both MacBook and Windows laptop devices, the versatile Boomerang Docking Station connects through a standard USB port and expands your laptops functionality to add various extra ports, meaning you will not have to constantly carry around or store multiple adapters to stay productive. Add 4 ultra-fast USB 3.0 ports to your computer and connect a wide range of media devices, which include USB memory sticks, external USB hard drives, printers and other equipment. The latest USB generation ports will ensure ultra-fast data transfer speeds of up to 5Gb/s. Additionally two of the USB ports support fasting charging with a 2A output, perfect for charging smartphones and tablets. The j5create Boomerang Docking Station features a HDMI video output which supports 1080p video playback, meaning you'll be able to connect your MacBook or laptop to an external display. 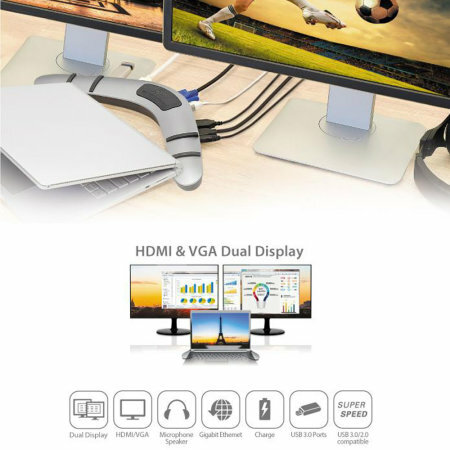 In addition to ensure the Boomerang Docking Station is compatible with older devices, it includes a VGA port to allow you to connect to older TVs and monitors with a maximum output resolution of 1080p. A wired internet connection is often a faster and much more stable option to connect to the internet or to a local network than a wireless internet connection (Wi-Fi). With a dedicated Gigabit Ethernet connection, the Ultra Mini Station allows you to connect to your wired internet connection at home or work. Enhance your audio with the integrated 3.5mm audio port. As a conventional audio port, you can use your compatible wired headphones or speakers with your MacBook or PC for better sound and a more immersive experience. The Ultra Station also supports audio in, ideal for creating recordings. Not only is the j5create Boomerang a versatile docking station but also acts as a laptop stand. The Boomerang features four rubber four pads on the top, ensuring your laptop sits securely and does not slip.